Plain language tips and information for communicating with patients. 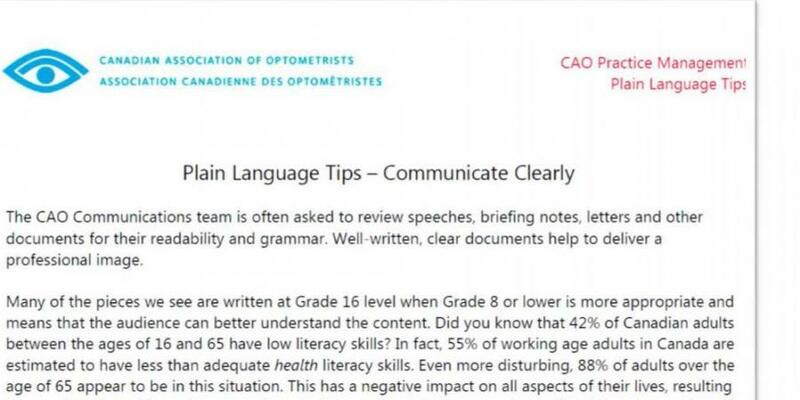 This three page document provides advice on how to use plain language skills, such as, the use of white space and simple sentence structure. Word choice and tone are also important factors in communications.